In August, flower gardeners reap rewards from the hard work they did in spring. They can relax, knowing that most of the ornamental garden work can be left until weather cools in September. Even dead-heading flowers is an option. People who want a second crop of shrub and perennial flowers will get busy shearing roses, buddleia, phloxes, lavenders, globe thistles, anchusa, penstemons, yarrows, and toadflaxes. But people who hope for rose hips or seed for future planting donâ€™t even have to do that. Petunias often start to grow long and lanky in August. Itâ€™s fine to shorten them. Theyâ€™ll be pathetic stumps at first, but before long, theyâ€™ll be shooting back, budding and flowering. Soon, autumn crocus (colchicum) bulbs will be in nurseries. They arenâ€™t cheap, but are good value, because theyâ€™re pest-free, they spread, and they flower reliably in sun, with very large pink-purple crocus-type blooms. Gardeners who keep their gardens mulched can relax the frequency of watering, except for moisture-loving plants such as hellebores or mints. Thereâ€™s no problem, either, in abandoning lawn watering for a couple of months. Lawns green up quickly when rain returns. Water saved from the lawn will be needed in the vegetable garden, because moisture is needed to help beans, zucchinis, squash, tomatoes, and root and leafy crops get larger. Any crop thatâ€™s partly self-pollinated, such as beans, will also benefit from a swoosh of the hose over the plants to get their pollen moving around. Tomatoes grown under cover also need a good shake for pollination. They are greedy feeders, and also moisture lovers â€“ as are squash. Bush squash need very rich nourishment, especially if theyâ€™re in a big container â€“ fish fertilizer, sea soil, or a balanced (all numbers the same) organic fertilizer are all suitable. Rural gardeners often have space for vining squash, which seek out their own food if allowed to run, because auxiliary roots form on the wandering stems. The leaves are quite beautiful, like huge earthbound water lilies. Heirloom squash are often vining. Fruit of some kinds can be large and very heavy. Garlic doesnâ€™t need watering now, nor do shallots, because both are in the run-up to harvesting. Sometime through August is good timing to harvest them â€“ best done before the stems dry and disappear. Invisible stems mean a few root clusters also vanish. In spring, they reappear in inconvenient places. With some crops, harvesting fits nicely with composting unusable plant bits. Every time a broad bean plant is stripped of its last beans, itâ€™s easy to pull the plant and pile it ready for compost. If youâ€™re armed with a pruner, the last crop of summer raspberries can dovetail with cutting fruited stems. Itâ€™s not too late to sow seed of a few things: arugula and corn salad are especially useful because they mature quickly and are fairly slug resistant. Green onions, radishes and spinach can also be sown now. 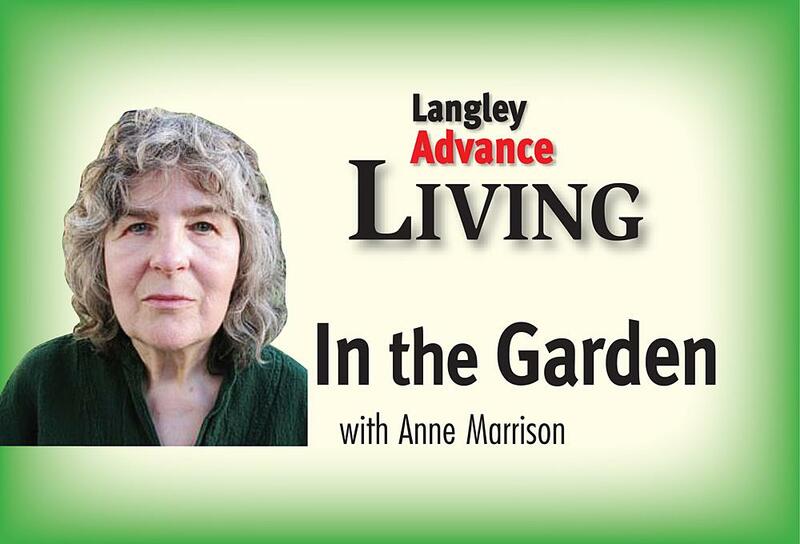 My father, who gardened in South Surrey, used to plant peas in the last two weeks of July, calling it his â€œsillyâ€ crop, because whether it ever matured was always dicey. But planting pod pea seed gives you a harvest a week earlier than shelling peas do.